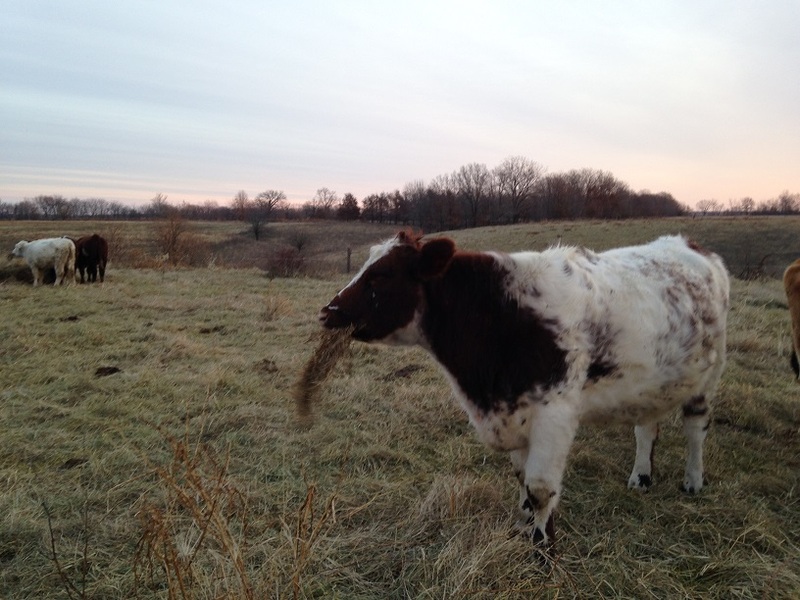 I am using a highly sophisticated, scientific method for grazing our cattle this winter. This process will be hard for the average farmer to duplicate so I release this information with a measure of reluctance. I’m not sure how useful it really is. This post relies heavily on two expensive and precise scientific tools to measure feed quality and quantity…a pitchfork and size 11.5 feet. I should also alert the reader, based on recent conversations, that this post will show pictures of cow manure. Lots of cow manure. Further, it will have explicit descriptions of cow manure. In fact, I may even discuss the philosophy of cow manure. The Zen of cow manure. Don’t misunderstand, this is a post about what my cows eat…but you have to pay close attention to the other end of the cow too. Let’s look at a sample. Here we have a rare sight indeed! 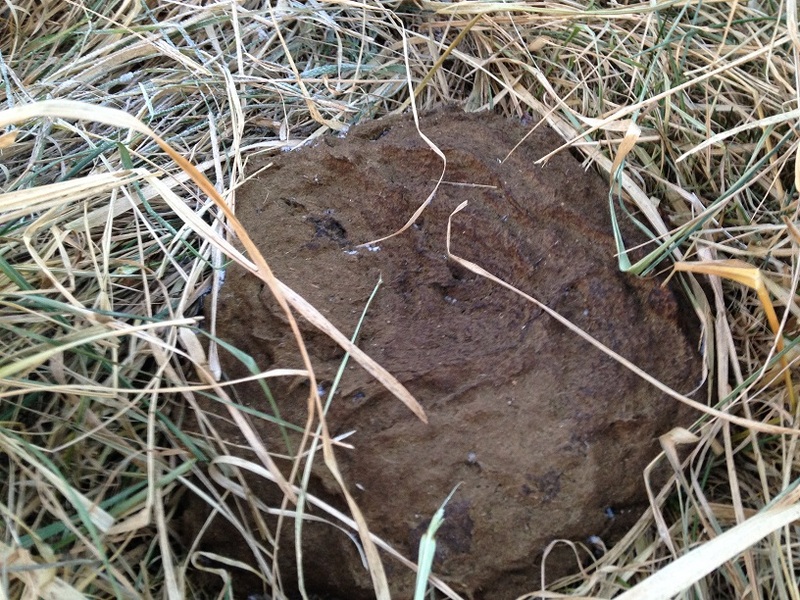 Cow manure covered in coyote poop. You have to walk through a lot of pasture before you see one like this…complete with persimmon seeds in the coyote poop. If you are really interested in seeing coyote poop on cow poop, complete with persimmon seeds you can click here. If you clicked on that you’re weird. I know because I’m an authority on weird. I took the picture. Here’s a bonus. Coyote tracks in cow manure. Believe me, you have to look at a lot of cow pies to find one of those. So…I look at a lot of cow manure. 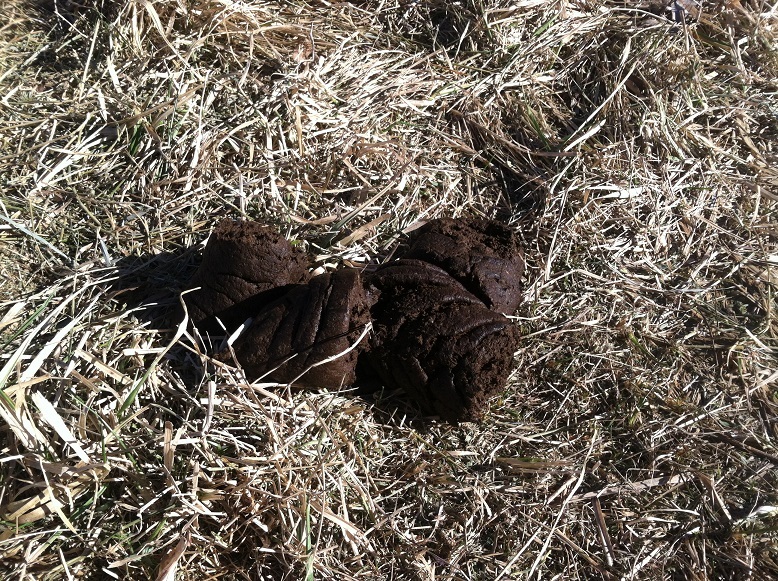 I take pictures of cow manure. I think cow manure is important. You down? Anyway, I have cows. Hooray for cows! I have cows because I need something to eat my grass. Hooray for grass! So I ask my cows to eat my grass. Have you read Coleman’s Winter Harvest Handbook? That’s what we are talking about here…except on acres and acres of farmland. The cows aren’t eating fresh forage that is actively growing…cause nothing is growing. They are eating forage we grew in August, September and October and stored in the field for later consumption. Winter harvest. And it’s mostly grass because the poor legumes just can’t take the cold…and other reasons I’ll get into in a minute. However, if my cows only eat grass this time of year they will get a bit constipated. There just isn’t a lot of protein in the grass that is out there. Fescue, apparently, does well in the cold but I have not done a formal forage analysis. I just turn the cows into a new area, make sure they are full, in condition and I look at their poop. Science! (Cue Thomas Dolby.) As I said above, if I expect the cows to ONLY eat the standing forage their stool tends to get a little dry. Their manure looks like a stack of cookies that fell over. There is some good forage out there that they seem to like but it’s not, I think, everything they need. Here’s some dry manure from last winter as an example. What we really want is pictured below. A nice, clean pile with a depression in the middle. A cow pie that looks like a pie. Perfect poop. I get this by supplementing the protein in their diet with high-protein hay. Others use a protein lick. Still others use grains. But the idea is the same. By offering a little supplementation you can not only fit more animals in the same area, you can utilize resources that would otherwise go wasted and you can concentrate fertility where it is needed most. So. Quiz time. What’s what here? OK, so that’s why I give them a little alfalfa hay. How much alfalfa? Oh, I don’t know. Some. (Science again.) I put out maybe 50 pounds of hay in the morning and another 50 pounds in the evening giving each cow around 7 pounds of alfalfa. I don’t carry a scale, man. Assuming the cows average about 1,000 pounds they are probably consuming another 13-15 pounds of dry matter by grazing. That’s about where we want it. I don’t want to provide more than about 30% of their dry matter from alfalfa…both because I have a limited supply and because it’s not good for them. We will measure “not good” in a minute. Before I go on I need to point out something. My pastures are brand new. Not new like freshly seeded to yummy things to eat. New like we aren’t even on a full year of managed grazing yet. The forages are just whatever came up. Whatever was left over after the tenant’s cows ate it down to the nubbins. So what is there is what is there. And what is there isn’t quite the balanced meal a cow needs. It just isn’t out there…not yet anyway. Not in terms of varieties, not in terms of soil health, not in terms of plant health, not in terms of cow health. So at this point I HAVE TO provide a little extra. We graze a strip that is measured in similarly scientific manner. Here’s the plan, I need to cover enough ground each day to keep my cows in top condition but only as much ground as I absolutely have to so my forage lasts until April or May. 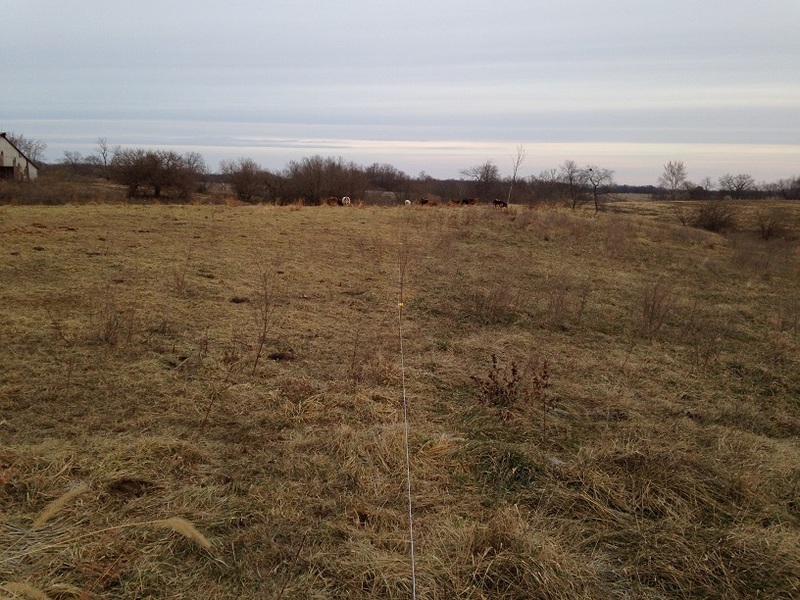 This recipe will change as my herd grows and as forage density varies but, for now, where we are grazing, I begin by laying out two parallel fences roughly 40 steps apart by aiming for points in the distance that I think are roughly 40 steps apart. So we’re 40-ish paces wide, right? Now I step off 20-ish paces for each day’s allotment and call it good. That packs the cows in tight enough that they are utilizing a high percentage of the available forage, they are full when I come back to see them in the morning and, just as important, their manure is distributed evenly – and heavily – throughout the pasture. Healthy cows like to lay in clean places. By growing into a new 20 steps each day the cows lounge in a new spot each day. What is the first thing a cow does when it stands up? But wait! There’s more. I need to see if the cows are full or not. Any cow will do but the shorthorns are super-shaggy. The Jerseys are not. I have one Jersey I can rely on as my fuel gauge. I can see when she is full. If she is full, everybody is full. And I want full cows. Full means that triangle on her left side is not sunken in…or not sunken in by much. And it shouldn’t be sunken in when you go to move the herd. Here is a pic of Mrs. White last winter when she ran empty due to poor management (me). She looks better this year. I feel like I’m doing a better job. As an aside, how do you keep a cow warm on a cold night? You keep her full. Keep that biology burning inside her. How do you keep a cow warm on a cold, wet night? Put her indoors. Saves your pasture too. By metering out my pasture like this I can make it last into spring. Further, I am not only budgeting my land, I’m leaving something in the account at each location. If needed, I could graze here again. I can also benefit from the even covering of manure all over my pasture. It’s like a war zone out there. First, it will boost fertility in the coming growing season, second I don’t have to haul it. Less work is more better. But the best thing of all is this: The cows eat everything. A little of this, a little of that, trample and manure on what’s left. They eat everything green. (Cows have not grazed on the right.) Now, our friend Kari asked if the cows would return to eating grass once they were given hay. I really don’t know how to answer that question…other than, “Yes?” But really I’m thinking, “What? Of course? I’m Ron Burgundy?” I don’t even know what that means. 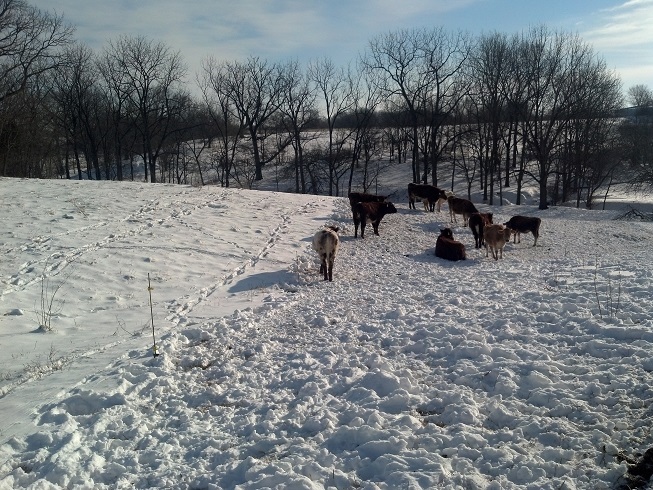 Our cows don’t go back and forth, they get both…unless I have to take them to the barn during a weather event. Then they seem to look forward to eating fresh greens again. So my answer is, “Yes?” Maybe I have magic pasture. Maybe I have magic cows. Maybe both? I’m telling you, Fescue is an unfair advantage in the winter. They dig through the snow to get to it. This helps offset the MAJOR disadvantages of fescue in the summer. But I think this is the real answer. Consistency. Cows like routines. My neighbor’s cows know silage is coming in the morning. They hear the tractor and they start to drool. My cows know I’m coming to open a fence in the morning. If you keep switching things up in their diet not only does their rumen have to adjust, the animal has to feel stressed to some degree. Like I do when Julie moves the furniture around…I’m a creature of habit. Forage slowly degrades over the season. By last March they were eating anything and everything. Brown grass? Brown leaves? Green tips of trees? You name it. We increased the amount of hay we offered each day as we got closer to grass growing again…as we got closer to running out of pasture…as we increased our confidence that our hay supply would last. As we continue grazing, as we continue building soil, as we continue building health and life we should see our supply of green stuff stretch. We may even reach a point where we don’t need hay anymore. But I’m not holding my breath. And even if the cows ignore the majority of the organic material out there (and they don’t), they still benefit from the little bit of fresh green and deliver the manure for me. So what if I take them a little hay? You know what the difference is between taking hay to a feed bunk and taking hay to the field is? Mud. And the good news is we have some excellent quality grass hay. Grass stems are thinner and easier to put up than alfalfa. 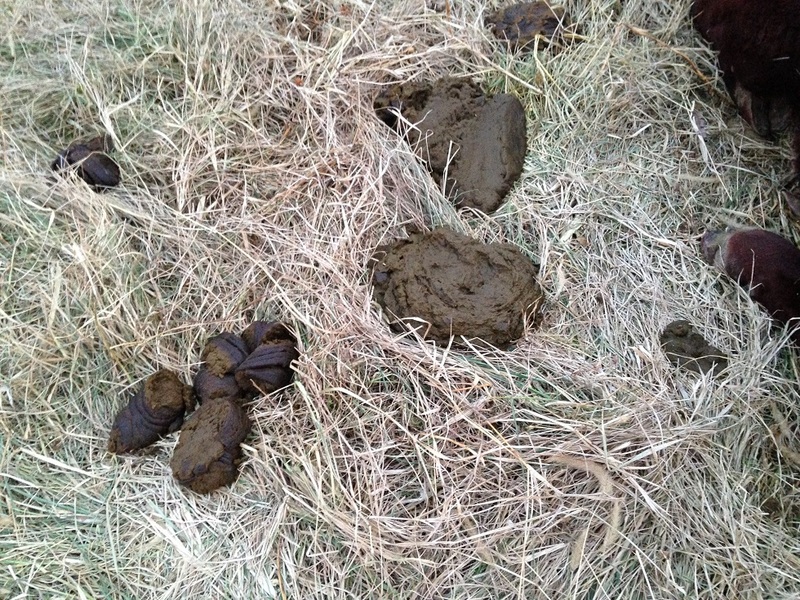 The weaned calves seem to want a percentage of this in their diet…even though their stool is a little dry. I don’t keep my cows outside all the time. I could. Some do. But I don’t. When it’s raining and turning colder I think the cows are better off covered and warm. 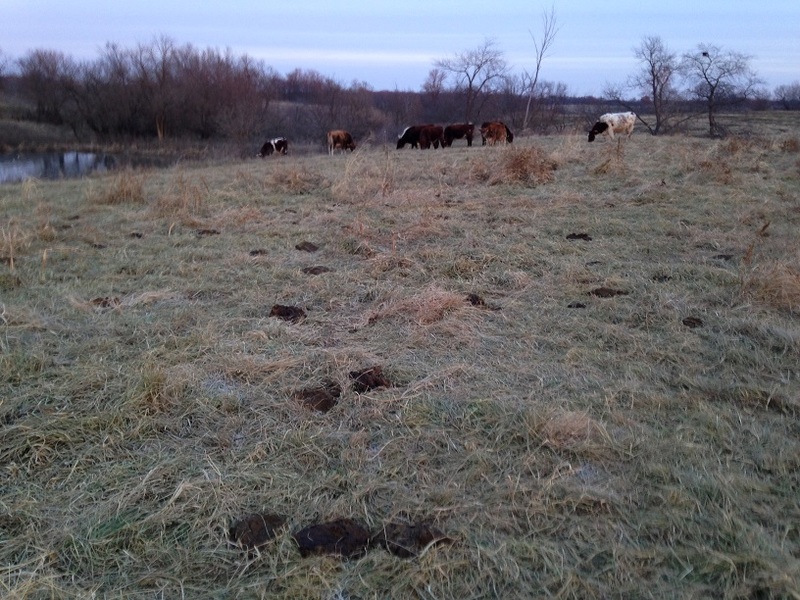 When it’s cold and muddy my pasture is better off without cattle. Sometimes it’s just easier to be a farmer if the cows are in the feedlot eating hay. My friend Matron prefers to keep them up close for all reasons above. But the same rules apply there. Keep the cows full. Look at the poop. If they sneeze and squirt their neighbor you might back off on the protein. You might also be concerned for their well-being. How do you feel when you get loose? Provided they aren’t sick (always give clean water), give just enough protein supplement to help them digest the rest of their feed. I use alfalfa hay to supplement protein. Jim Elizondo offers flaxseed meal. Guess what he says? I haven’t had success with moving cows to a high protein forage and then back to low-protein old forage on a daily basis, so I prefer to finish the higher quality forage first as it will lose quality the fastest. In that quote Jim is explaining why we hit the alfalfa field early on. We got the high-quality forage out of the way because it would be the first and the fastest to lose quality. Now we work through the rest of the pasture. The remaining pasture needs a little help so we get proper rumen function. He supplements with flaxseed meal, I give high-legume hay grown right here in River City. And maybe that’s why your neighbors aren’t seeing success. Maybe they are trying to go back and forth on forage quality. I’m not going back and forth. I’m supplementing consistently. Heads are down in the pasture. I don’t know if this will work at your farm, with your forages, with your cattle, in your climate. I don’t know. Apparently the PNW isn’t the best place to try…which makes me want to try. 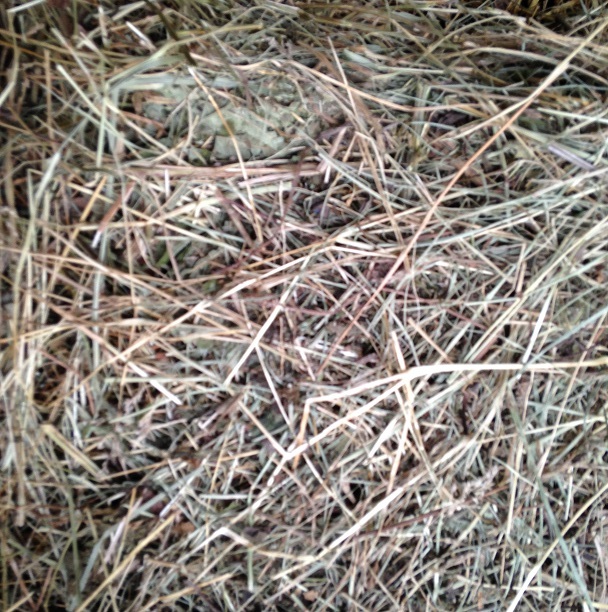 It seems to work here but I have had neighbors tell me I’m wrong…that my cows may as well be eating straw. “If you think it will work or it won’t you’re probably right.” AMIRIGHT? If you want to know more, feel free to ask questions. I don’t know either but it’s fun to learn together. I think it’s also worth your time to check out Jim Elizondo’s DVD and Jim Gerrish’s books. Even if you can’t directly apply their work you can probably find inspiration and direction. I want to add one more thing to this post. The cows have a wide variety of minerals available to them right now. They are hitting the phosphorus particularly hard right now. Because they have the minerals they need, they tend to utilize their forage better and they tend to eat less. But if you read the Jim Elizondo link above you know that already. This entry was posted in Cattle, Pasture Management, Seasonality and tagged Alfalfa Hay, Jim Elizondo, Jim Gerrish, Winter Stockpile. Bookmark the permalink. 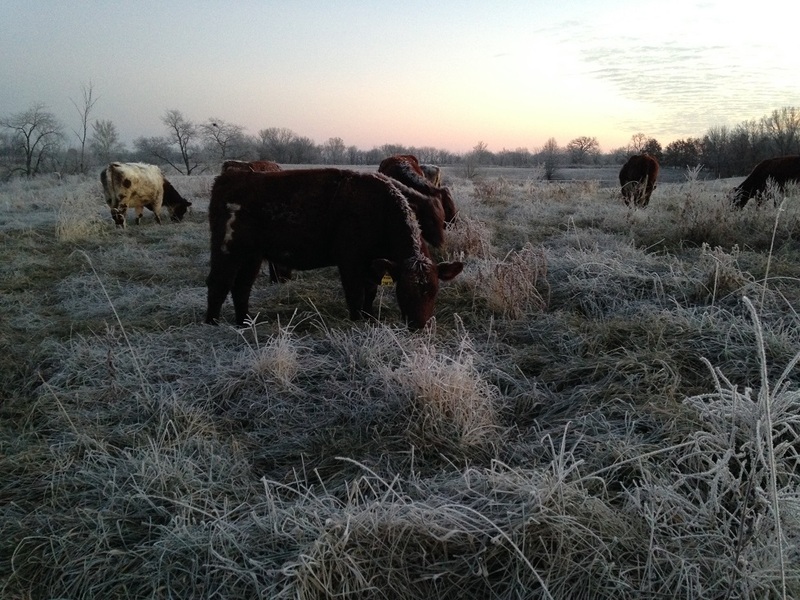 What an informative post, I look forward to reading more of what you share as we are about to begin grazing with yearlings for the first time this year. I raised up 3 bottle bulls for practice last summer, it was awesome to observe their “triangle” being full after their rumens started working, and with moving them frequently I was SO astounded at how much they improved the spaces they were on in their 12 short weeks before they became delicious pastured veal. Great post. Lots of detail and explanation in here, I’ll be coming back to read again, I’m sure. I’ve seen Jim Gerrish on YouTube, he’s pretty interesting, never heard of Jim Elizondo. More investigating to do. Great post, thanks for all this info-lots to ruminate on. I was blinded by all that science! Hay supplement at 0.7% of BW (body weight) of bred and growing cows seems like a pretty hay good savings. Elizondo – good find on a ref to what I was talking about- a new name to me – looks like he has lots of articles to read up on – thanks. Have you seen his DVD? Comments? A few hours after I posted my comment on my old rancher father in law’s hay theory, I realized one BIG dif is his operation compared to yours – you stockpile pasture where in the yrs I lived at the ranch they did not. Most yrs were borderline drought and stretching pasture to the beginning of Sept was often a challenge. Back then twenty some yrs ago I don’t know if anyone in those parts would have even heard of stockpiling pasture -you stockpiled hay, much less heard of cell grazing. So fall “pasture” was really grazing stubble on the oat, wheat and canola fields – sparse and obviously not highly nutritional either so that would make going back to ”pasture” from hay a hard thing. Generally they would be on hay for a short time as we rounded up and drove the approx 500 head about 5 miles home from pasture to the corals. The next days they were sorted, separated, castrated, branded, preg checked with moms and meats then back out to “pasture”. I didn’t realize you were supplementing hay everyday I thought only periodically at this stage not getting the feeding alfalfa hay while grazing on alfalfa pasture– got it now and why you do it. So keeping up with the tour bus, from your pics climate wise you have heavy frost but no real snow? I think the pic with snow is from last yr? Water wise you haul water out to them and likely daily chip through the ice at the top. Does that give them water for the better part of daylight or does it freeze over pretty quickly so they are only getting one good drink a day? I am thinking about your stack o cookies here… Pasture wise it looks like you are currently off the alfalfa, not onto your tall fescue but on grass pasture right now? 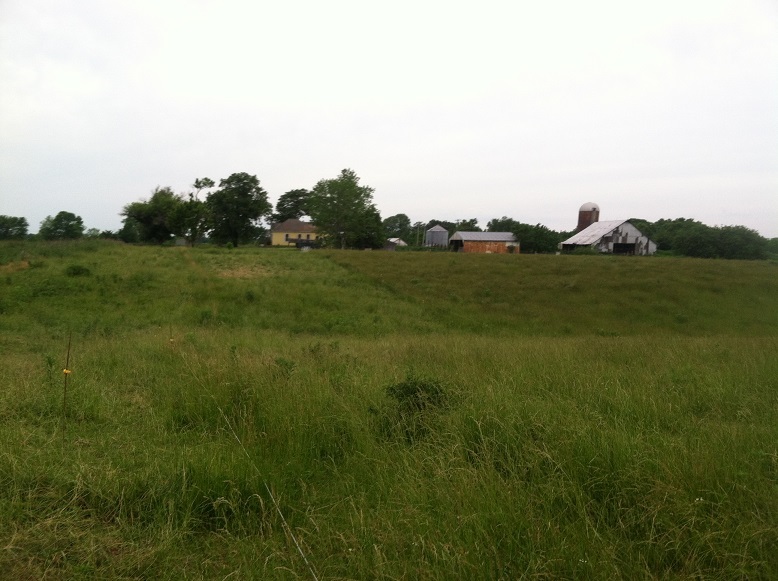 Why grass before tall fescue? Is it located btwn the two fields so just is or other reason? Table 5. Seasonal percentage changes in chemical composition and digestibility of tall fescue. I think my pictures have misled you. Let’s try to make a few corrections. We grazed through the alfalfa fields starting in October. I wanted to make alfalfa last until Jan 1 but we took them off early. We brought the herd in to wean calves and there was only a day or so left. So now we are grazing on the other side of the fence. No special pasture here, just whatever grows. And fescue is the dominant forage for sure. To be specific, we are currently grazing where we ran our chicken tractors, took a cutting of hay and spread manure and lime so it’s pretty good stuff…but not as tall as it is to the north. When we grazed the pure alfalfa I offered the cows grass hay to keep a good net of fiber in their bellies. Now that they are on grass (fescue) I am giving them alfalfa. It’s all about balance. Water is no big whoop. We aren’t seeing wind chills of negative 40 like you are. The water and mineral are along the perimeter fence and the cows come back to that. They get a narrow strip to graze and a little leg of fencing to let them come back to water. We are still using hoses. It’s kind of a pain but not too bad. We try to fill water when the temperature is above freezing in the afternoon…cause, we live in the warm south…lol. I should probably find a way to test my forage. I assume the worst though. And I know the test values would change wildly as we cross the landscape. I don’t expect my fescue would pass those levels of protein in part because much of it is very mature. I have to think they are testing absolute ideals there. When I have heard Salatin talk about it he mentions swings from 7% protein pre-frost to 14% protein after frost and he has applied a layer of chicken manure in the fall to get the grass in condition. I need more chicken manure. A 10 year old Chris Jordan would shudder at that statement. Is there a sequel to this Poop Blog post on the Straight Pee ? Have you ever tested the pH of your cow’s urine as Elizondo talks about as a test for protein? “Elizondo uses this example: A 1,200-pound cow with a 2.5% dry matter intake would eat 30 pounds of dry matter per day. However, if forage protein is deficient at 5.7%, the cow can over-eat by about 40%. That means her dry matter consumption would be 42 pounds per day as she tries to consume the pounds of protein she needs to digest the forage. I think that’s really interesting. I guess I could follow my cows with litmus paper but even the cows would think that’s weird. I think Elizondo has a lot to teach us but at this point, dividing my time between my employer, my family and my small herd I can’t be too nerdy about numbers. 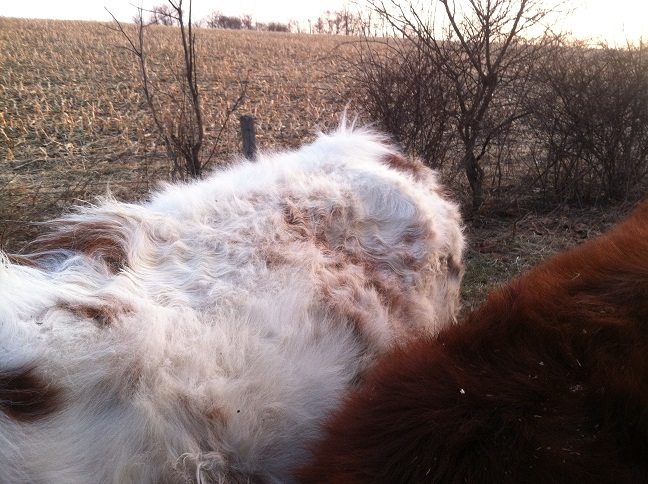 I just look at their condition, their coat and their manure as we move through the pastures. Maybe that’s a lame excuse though. I dunno. But just think what a hit you would be with these stories at the office and social functions! LOL It didn’t sound all that bad really – go to pharmacy, buy pH paper, put pkg in farm chore jacket pocket, one day when you see a cow pee dip your paper on a blade of grass that got “watered” and take reading – you don’t need to catch it from the cow. If you see some pH paper mysteriously arrive from Amazon in your mailbox one day consider this your Bovine Urology Scholarship Award lol! There don’t seem to be ag insights podcasts anymore. Chris appears to be focused on a new venture. Mark Bader is all about the energy. 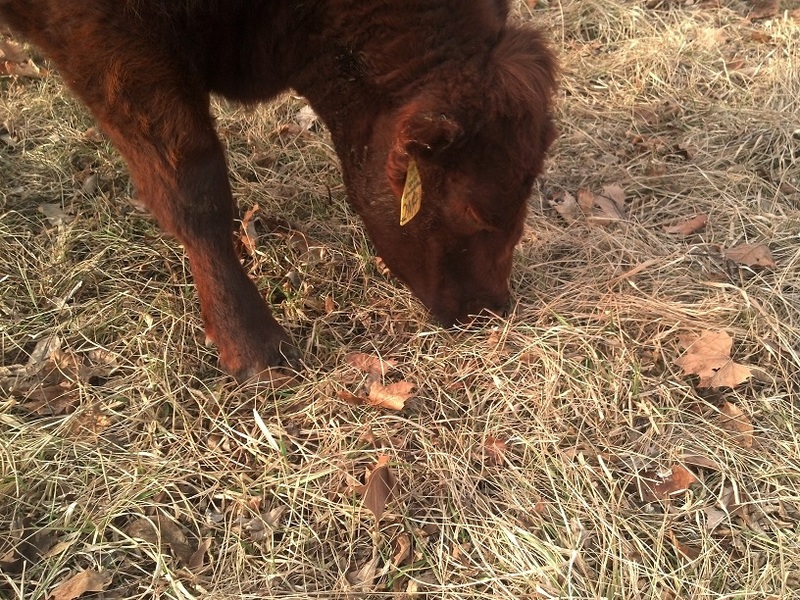 He gave me some advice last spring and it has caused me to change my spring grazing plans. I need to let my cows be picky in the early spring so I may just subdivide my farm into 10 paddocks and rotate them through the entire farm 3 times in April. Maybe add a few divisions and roll through twice in May. Then we slow down. Whatever we end up doing, we’ll move faster than we did last year.